From new clinical trials and approvals to furthering basic understanding, here are the 10 most viewed items on RegMedNet in 2018. 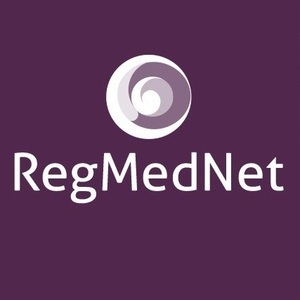 2018 was an exciting year for RegMedNet and the field of regenerative medicine; from approvals of revolutionary therapies and ground-breaking clinical trials to new features, contributors and more, we covered the latest news and brought you insightful expert opinion. Below you can find our countdown of the top 10 most popular content features on RegMedNet in 2018. Which ones did you enjoy? What would you like to see more of? Let me know in the comments! In our latest spotlight survey, we wanted to find out how and why you are utilizing MSCs in your research. In this infographic, learn more about the landscape of MSC research plus find out how you compare! In this editorial, discover why continued basic research is required to further our understanding of MSC biology and to fully realize the therapeutic potential of MSCs. In a world first, a clinic in Japan administered stem cells as a treatment for mild-to-moderate Alzheimer’s disease. Learn more about Trinity Clinic Fukuoka in this news story. Popular as ever, this year’s calendar featured more events than ever and can be synced to your Google Calendar. In this expert post, learn more about recombinant Wnt3a with a new Wnt stabilizer that significantly extends the activity of this protein in serum-free medium from a half-life of just 2 hours to around 30 hours. In this feature, new for 2018, a panel of international experts share their perspective on current obstacles and future developments in cell culture. Working in the pre-clinical field of regenerative medicine, you want to make your results count from the start. In this expert post, learn more about optimizing your starting materials for a seamless transition. Filmed at ISCT 2018, join experts from CCRM (ON, Canada), Fisher Bioservices (MA, USA), Hitachi Chemical Advanced Therapeutics Solutions, LLC (NJ, USA) and more to discuss preservation and the challenges of delivering a high quality product, regulation and the issue of comparability, and what the manufacturing facility of the future might look like. 1. RegMedNet Award for Cultivating Excellence: voting now open! This year saw the second year of the RegMedNet Award for Cultivating Excellence and the first year of a public vote. Almost 1000 votes were cast; meet our finalists and congratulate our winner! What was your favorite post? Share it on Twitter or in the comments below!